Just a few years ago, the idea of bringing food from the farm to the school was a novel concept. The school food system had changed so much from the 60’s and 70’s so as to not even resemble a home kitchen let alone receive fresh food from local suppliers. But now there are rays of hope that your children can experience fresh, gorgeous, and healthy food at school — and enjoy it! They can also learn more about sustainable agriculture and grow their own food at school. In fact, USA Today recently reported that “nearly nine out of 10 people want to see an increase in farm-to-school food programming in the U.S.” In order for it to happen in your child’s school, you need to be an involved parent with a task force. To get you off the ground in how to start a farm to school program at your child’s school, we’d like to give you some pointers and resources so that you won’t reinvent the wheel. It all begins with simple goals. Choose What The Program Looks Like. According to FarmToSchool.org, there are usually three types of farm-to-school programs. And your child’s school might incorporate one or all of them. Utilize Your School’s Parent Organization. Because schools respond well to a larger influence of the community or parental concerns and interests, it is more possible to influence your child’s school and other necessary administrative offices when you utilize your parent organization. There is strength and wisdom in numbers when more stakeholders are involved. • Identify menu items that you would like to transition to local products. • Find a farmer or distributor to connect you to local items. • Plan a local meal event. • Determine training needs to assist food service staff with incorporating farm fresh items in meals. 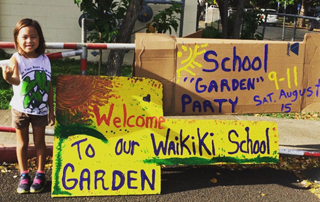 • Bring a school garden planning team together. 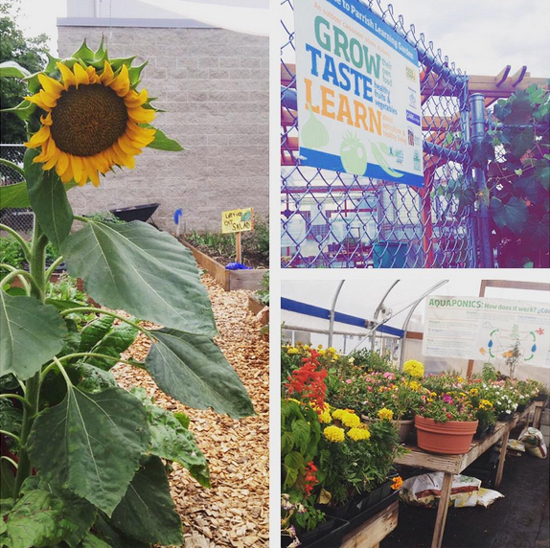 • Identify curricular opportunities to connect to a school garden. • Bring a chef into the classroom. • Plan a farm field trip or host a tasting event featuring local produce. Additional starting ideas are found in the Green School Action Blueprint of the book The Mom’s Guide to Growing Your Family Green. Do the Research. With the blessing of your parent-school organization, work together with like-minded parents to create a goal, research information, and develop how-to’s. And while your local area might have specific interests and needs, you are likely to find others in some area of the world who have already done something similar. Why reinvent the wheel? Make it easier on you and what you have to present to decision makers by learning how others have done it. Excellent starting resources include the National Farm to School Network, your school or district nutrition department or association, USDA’s Food and Nutrition Service (here’s a link to the USDA’s Farm to School grant program), California Farm to School Network (many states have their own version of California’s network with their own website), and Growing-Minds.org. Does your child’s school have a farm to school program?